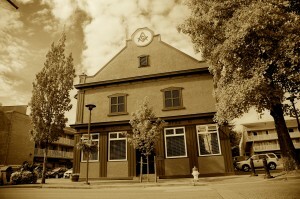 Ancient Light Masonic Lodge was founded in 1920 by a group of Ladner Business Men and Farmers from the surrounding Area. 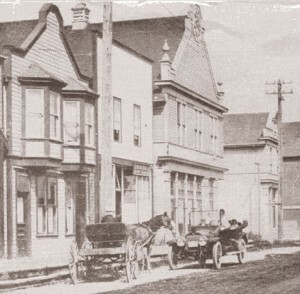 The Lodge met on the upper floor of the Royal Bank building on Delta Street and shared the premises with the Oddfellows Lodge. Ladner was quite isolated in the early years and visitation with other Lodges often required overnight stays but the Craft flourished and Lodge Membership Grew. In the mid 60’s the Royal Bank and the Oddfellows moved to other premise and Ancient Light purchased the Building at 4873 Delta Street. The Lower Floor was leased to the Delta Law Office and the upper Floor was renovated for the present Lodge Hall and Banquet Room. The Lodge is a Member of District #25 of the Grand Lodge of B. C. & Y. We meet twice a month and install our officers in early September. Our W. Master and the officers welcome all brethren to visit and any interested non Masons who would like to join our fraternity to please contact us for further information about the Craft. Regular business meetings are held the third Monday of each month 1730 hrs. Visiting brethren are encouraged to check our calendar for events and join us at any time.